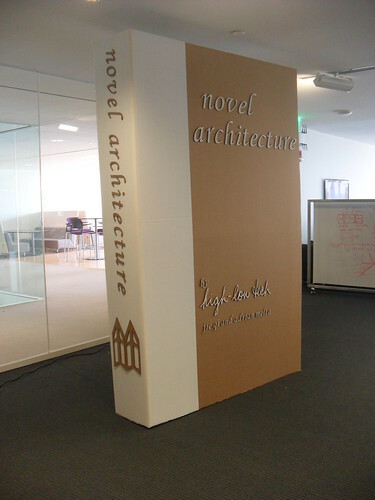 Novel Architecture is an experiment in materials and scale: a life-sized pop-up book that you can open up and step into, made using only cardboard, an X-acto knife, tape and glue. 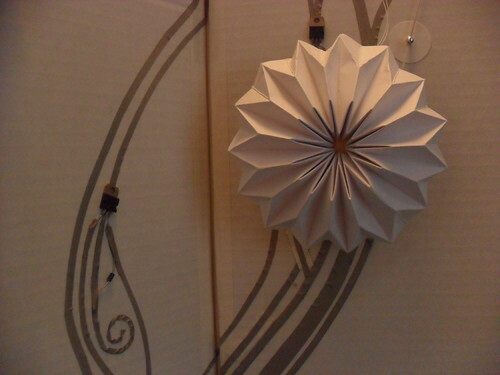 Inside is a kinetic mural of pleated paper flowers made using soft circuit techniques and materials. 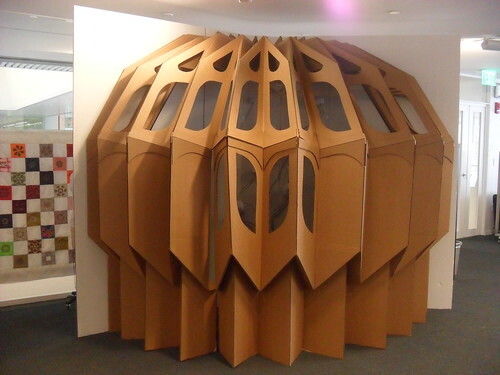 Inspired by origami, the folding mechanism in the walls and roof uses a series of angled pleats, which are mirrored on a smaller scale throughout the book. As you tug on a string of beads leading from one flower, the rest come to life moving like puppets using a series of strings attached to motors. The mural itself is drawn using conductive fabric and copper tape, which serve both as expressive and functioning traces within the circuit. 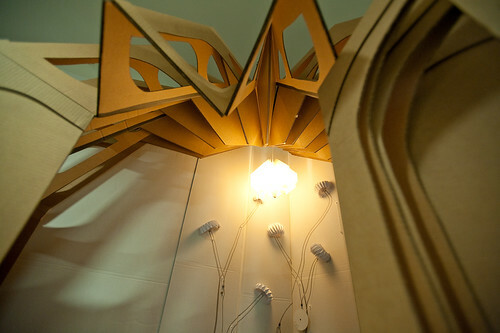 Electronic components are also openly displayed and emphasized to explain the electronic workings behind the mural.